As a CPA and JD with more than 25 years experience serving client needs in the combined fields of auditing, corporate law and forensic accounting, Mr. Effron has directed or participated in over 250 forensic investigation and dispute matters. He is experienced in managing complex financial and regulatory investigations ranging from responding to Securities & Exchange Commission, Department of Justice and other regulatory inquiries to small business and matrimonial disputes. Mr. Effron has also served as a financial consultant, expert, mediator and special matter in a variety of litigation matters including post-acquisition, civil monetary, occupational fraud, embezzlement and other disputes. Mr. Effron is NACVA in Valuation and AICPA Certified in Financial Forensics. Mr. Effron has served in a variety of leadership roles and was instrumental in developing the audit investigation support protocols for a Big Four accounting firm as well as its Foreign Corrupt Practices Act strategy. Under the investigation support initiative, he was responsible for the development and implementation of the firm’s methodology for confirming the completeness and reliability of forensic investigations performed on the firm’s audit clients. In his role of supporting law firms and their clients on internal or independent corporate investigations, he has served a multitude of clients with allegations of financial and other irregularities. Clients served include law firms and both public and private entities from a cross section of industries including manufacturing, financial services, logistics, healthcare, technology, real estate, energy and multiple other areas. Prior to founding White Elm Group, Mr. Effron worked with a public accounting firm and spent 11 years with big four litigation and forensic services units including Ernst & Young and Deloitte. Mr. Sems possesses over 20 years of experience providing forensic technology services to clients in a wide variety of industries. He has extensive familiarity with international work stemming from providing services in 12 countries within Europe and North America – including conducting several 6-8 month investigations in Europe. Mr. Sems serves as an advisor in the area of forensic technology on the complex forensic technology matters. His skills cover the full range of services from computer forensic analysis to transactional data analytics. He helps clients by finding the “needle in the haystack”. Using leading techniques including fuzzy string matching, link analysis, text mining, computer forensics and cluster analysis. Mr. Sems leads teams to help clients discover patterns, artifacts and anomalies in huge sets of disparate data that can be used to identify high-risk, non-obvious or suspicious activities. The results of forensic analysis have helped a multitude of clients and their counsel pursue and achieve recovery in the contexts of theft of trade secrets, restrictive covenant breaches, embezzlement, corporate investigations and other matters. 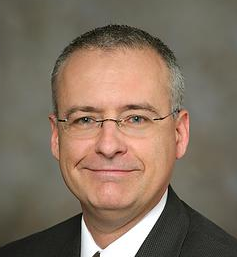 Mr. Sems is a regular national speaker for various groups including, the Institute of Internal Auditors, the Federal Bureau of Investigation, the Association of Certified Fraud Examiners and the New York Computer Forensic Shows. He also is a guest lecturer at various universities including, Notre Dame, Baldwin-Wallace and Kennesaw State University. Mr. Couillard is an affiliate of WEG specializing in business & intangible asset valuation and litigation support regarding valuation/damage matters. His experience includes the valuation of business enterprises, common stock, preferred stock, stock options, general and limited partnership interests, limited liability company interests, debt and note issues, accounts receivable, and other various assets. He has completed valuations for financial reporting, gift and estate tax planning and reporting, state tax planning and reporting, mergers and acquisitions, employee stock ownership plans (ESOP), recapitalizations, management buy-outs, buy-sell agreements, divorce, dissenting shareholders, shareholder disputes, lost profits, and bankruptcy/fraudulent conveyance. Mr. Couillard’s diversified experience also includes the valuation of intangible assets including patents, trademarks, trade names, proprietary technology, non-competition agreements, assembled work force, going-concern value, goodwill, software, mortgage servicing rights, provider and supplier contracts, and customer lists for various purposes. His experience includes industries such as manufacturing, transportation, wholesale entertainment, healthcare, banking, technology, investment, construction, publishing, real estate, telecommunications, internet domain brokers, and retail. 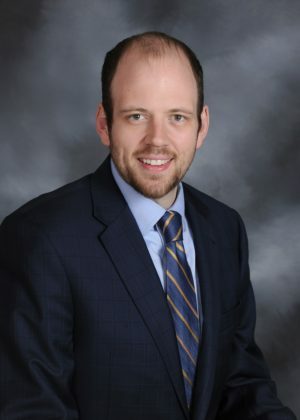 Kevin is an Accredited Senior Appraiser (ASA) certified in Business Valuation with the American Society of Appraisers and a Chartered Financial Analyst (CFA) with the CFA Institute. He holds an MBA in Finance from Georgia State University and a Bachelor of Chemical Engineering from the Georgia Institute of Technology. David is founder White Elm Group’s affiliates TrustedSec and Binary Defense Systems (BDS). TrustedSec provides information security consulting services for organizations all around the world. BDS is a global Managed Security Service Provider (MSSP) and software security company which detects attackers in the early stages and prevents large-scale attacks. Prior to TrustedSec and BDS, David was a Chief Security Officer (CSO) for Diebold Incorporated, a Fortune 1000 company located in over 80 countries with over 20,000 employees. David developed a global security program that tackled all aspects of information security. David is considered a forward thinker in the security field and has presented at several hundred conferences worldwide. David is also a board of director for the ISC2 organization which is one of the largest security collectives which offers certifications such as the CISSP. Rich has provided valuation advisory services since 1992, on a full-time basis. He specializes in the valuation of privately-held companies and intangible assets. His appraisal and advisory services have been provided to Fortune 500 companies, family businesses, middle-market companies, as well as M&A firms and the Internal Revenue Service. He has provided business valuation services for acquisitions & divestitures, family wealth planning, financial reporting, ESOP compliance, stockholder disputes and marital dissolution. He has appraised closely-held common and preferred stock, business assets in aggregate, intangible assets, stock options and warrants, Rule 144 restricted stock, illiquid debt instruments, general and limited partnership interests. Rich has also provided fairness and solvency opinions in connection with mergers and acquisitions, as well as asset impairment studies. Rich has business valuation experience in a broad range of industries, from early-stage biotechnology and industrial manufacturing, to ecommerce and software technologies. He has testified as an expert witness in business valuation matters involving shareholder disputes and divorce. Rich was the Managing Director of Valmark Appraisal. Florida Director of Financial Valuation for Marshall & Stevens. Mr. Abernathy has served the accounting profession for over 40 years. He has held leadership roles of several medium to large accounting firms, as well as having extensive leadership experience in “Big 4” accounting firms. 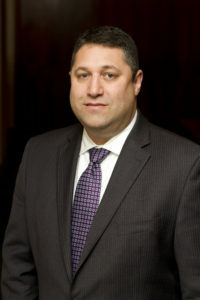 His experience includes specializations in auditing, accounting malpractice, inventory valuation, family law, alternative dispute resolution, as well as corporate and individual white collar crime investigations. Mr. Abernathy has significant experience providing his expertise as both an expert and consulting witness on multiple occasions. In his roles as an expert, he has prepared and presented damage calculations related to purchase price disputes, personal injury, employment disputes, lender liability, suretyships, white collar crime and other issues. In his public accounting career, Mr. Abernathy has worked extensively in the construction and banking industries. In addition, he spent time as the treasurer of one of the United States’ twenty-five largest contractors, giving him practical “hands-on” experience running a business. Mr. Abernathy has also devoted himself to education. He is a frequent writer and speaker on construction industry accounting and auditing issues. He is a graduate of The University of Georgia, holding a Bachelor of Business Administration with a major in Accounting. He has also completed masters level accounting coursework at Georgia State University in Atlanta, Georgia. Mr. Abernathy has served on numerous committees and panels for The Financial Accounting Standards Board, The American Institute of Certified Public Accountants, The Association of Certified Fraud Examiners, The Georgia Society of CPAs, American Arbitration Association, The Journal of Construction Accounting and Taxation, and the Construction Financial Management Association. Among writing many other high-profile publications, he is a co-author of the American Institute of CPAs’ Construction Industry Audit and Accounting Guide and the landmark Statement of Position 81-1 Accounting for the Performance of Construction-Type and Certain Production-Type Contracts. Mr. Rubin utilizes over 40 years of experience in all financial and management aspects of both publicly traded and privately owned companies. His experience includes assisting clients in real estate transactions (including acquisition, development, operation and sale), business operations and turn around, business planning, accounting and taxes issues, mediation of business disputes, risk management and human resources. Mr. Rubin’s professional responsibilities have included asset management, development of income-producing properties, purchase of raw land held for investment, and management of shopping centers. He has also successfully overseen the formation of multi-family real estate partnerships and their operation. Mr. Rubin has operated businesses in the following areas: (1) construction of commercial and retail projects; (2) manufacturing of steel products and retail store fixtures; (3) electrical and fire protection contracting; and (4) civil engineering. Mr. Rubin has successfully served in multiple senior officer roles, improving company performance and overall stability. Mr. Rubin also has experience handling SEC filings (10K, 8K, 10Q, Forms 3, 4 and 5) and investor relations. As a member of senior management of a real estate company, he leveraged his experience with these filings to significantly reduce year-end external auditor fieldwork. He also has experience negotiating significant company purchases such insurance coverage. Phillip M. Robertson provides consulting services to attorneys, accountants, and other professionals engaged in white-collar fraud litigation; banking and financial institution disputes, business and personal financial disputes, and related training. Mr. Robertson offers expertise in the evaluation of evidence, developing legal strategy, witness evaluation and development, oral and written reports, and interface with law enforcement and regulatory agencies. He develops and presents training in detection, investigation, and prevention of white-collar fraud, insider abuse, and business related disputes. He trains professional groups, regulatory and investigative agencies, and institutions of higher learning. Mr. Robertson has 41 years’ experience focusing on white collar and financial fraud. The nature of his investigative experience is wide in scope, including fraud involving liquidation agents and other asset managers, fraudulent reacquisition of property by debtors, criminal avoidance of restitution orders, insider abuse at banks, bank bribery and self-dealing, residential and commercial real estate fraud, criminal non-compliance with regulators, money laundering, frauds involving international asset swaps, looting of institutions through subsidiaries and related parties, fraudulent sales and mergers, embezzlements, self-dealing, hidden interest/bribery, “evergreen loans”, manipulation of accounts and reports, falsification of capital ratios to avoid regulatory scrutiny, back-dating of documents, and schemes to avoid compliance with regulatory directives, consent agreements, and cease and desist orders. In addition, he conducted some of the first United States Secret Service investigations into computer hacking, credit cards, and counterfeit merchandise. He also traveled worldwide with several Presidents and Vice-Presidents of the United States as member of The United States Secret Service. In the fall of 1999, he led the task force (FDIC, FBI, IRS) investigating and prosecuting the largest bank failure since the Great Depression, and has held multiple regional FDIC investigations supervisor roles, with responsibilities in several major business centers such as New York, Washington, D.C., Atlanta, Kansas City, Dallas, Chicago, and San Francisco. Accounting and Business, Georgia Southern University.